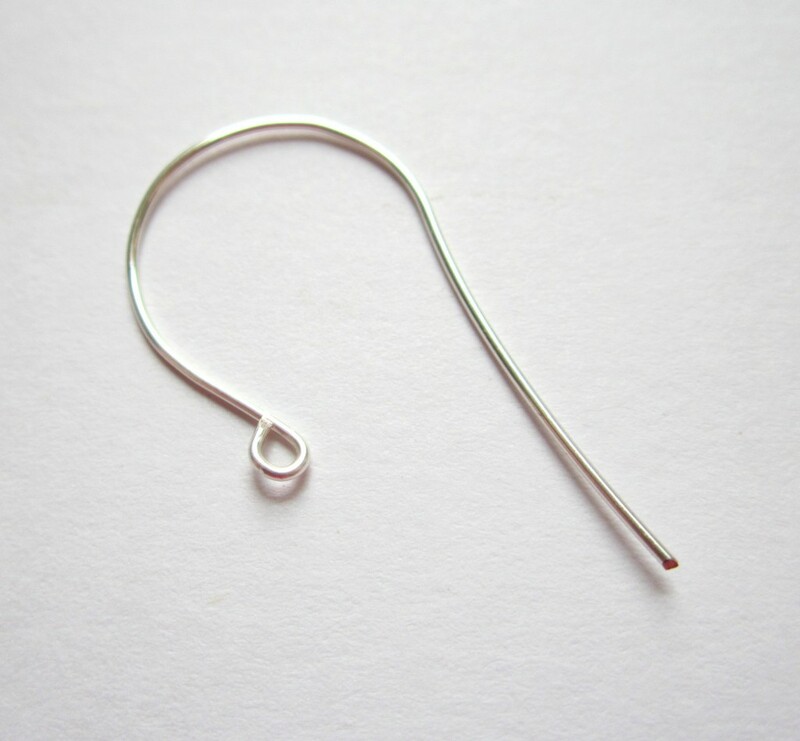 I admit, I purchased earring wires to use in my jewelry designs forever. 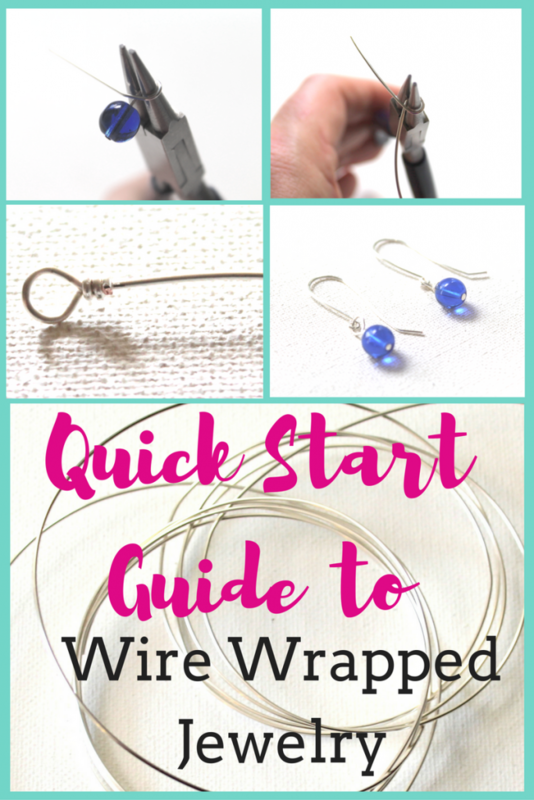 Even after I conquered wire wrapping, I continue to use bought earring wires. Then one day I tried to make my own. It is SO QUICK & EASY! I couldn’t believe I haven’t been making them all along! 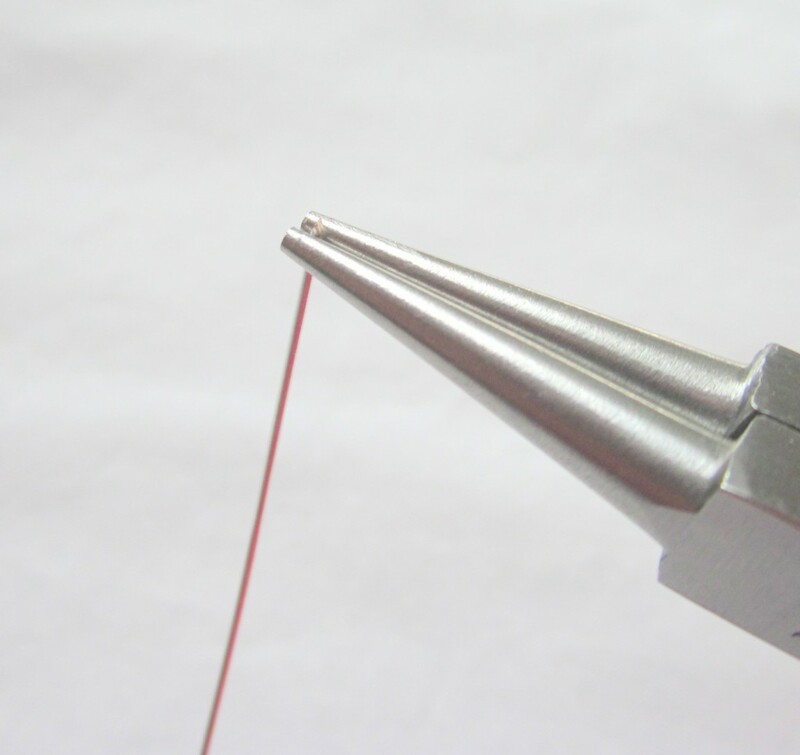 In this particular tutorial I use a ring mandrel, but I often use a pen or marker to make the curve. It’s really helpful to make them in pairs so that the pair is identical. Ring mandrel or some other round item: dowel rod, pen, highlighter, etc. Make sure each end of the wires has a flush cut. 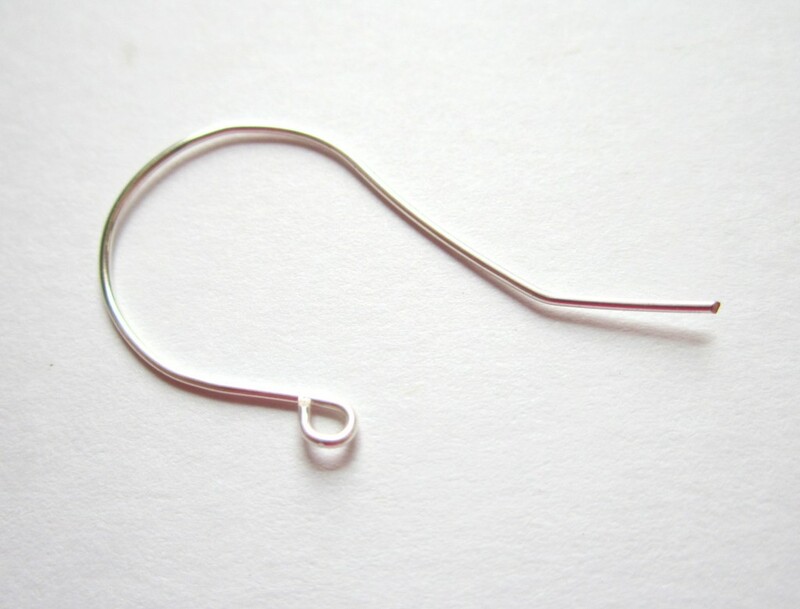 Hold one wire in round nose pliers. The wire should be at the top of the pliers, but not poking through. 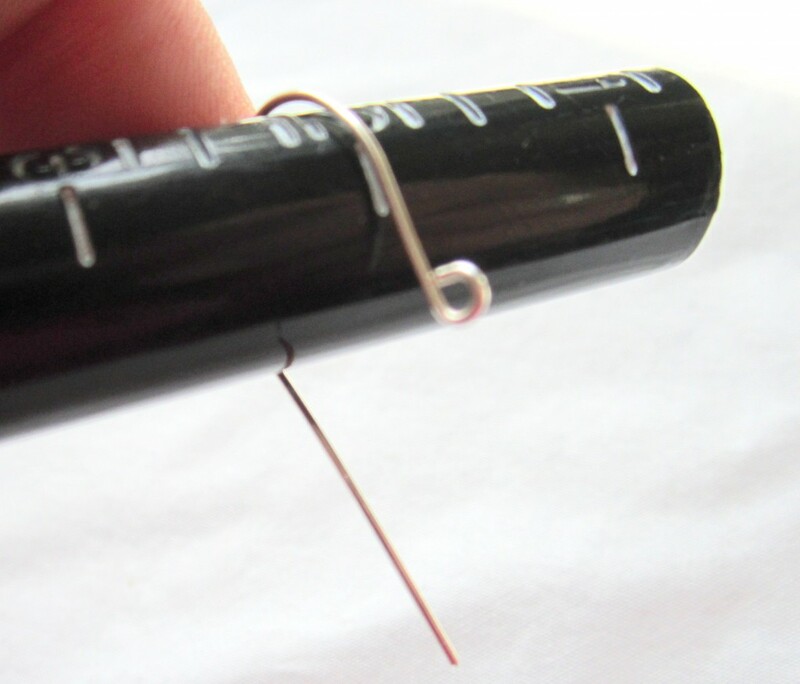 Twist your wrist away from you while wrapping the wire around the pliers. 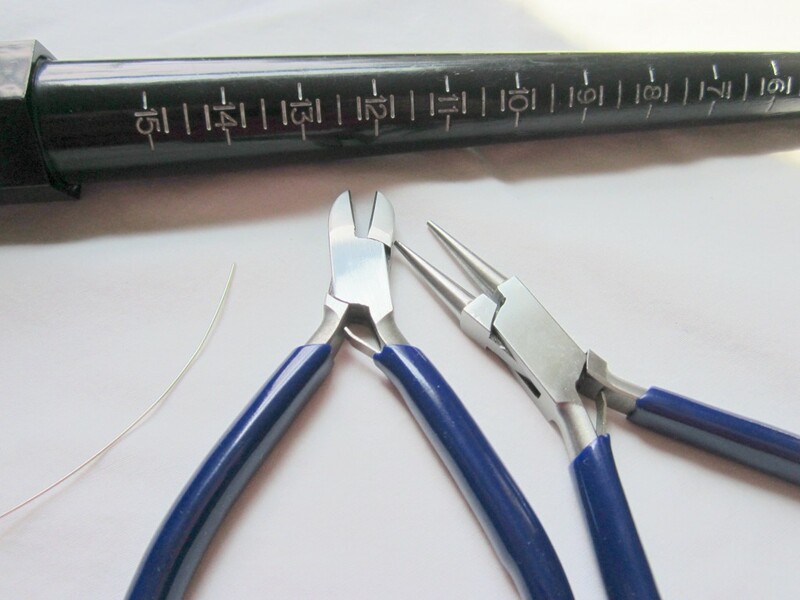 Go as far as your wrist will allow, readjust the wire in the pliers and complete the loop. Complete one loop on each wire. 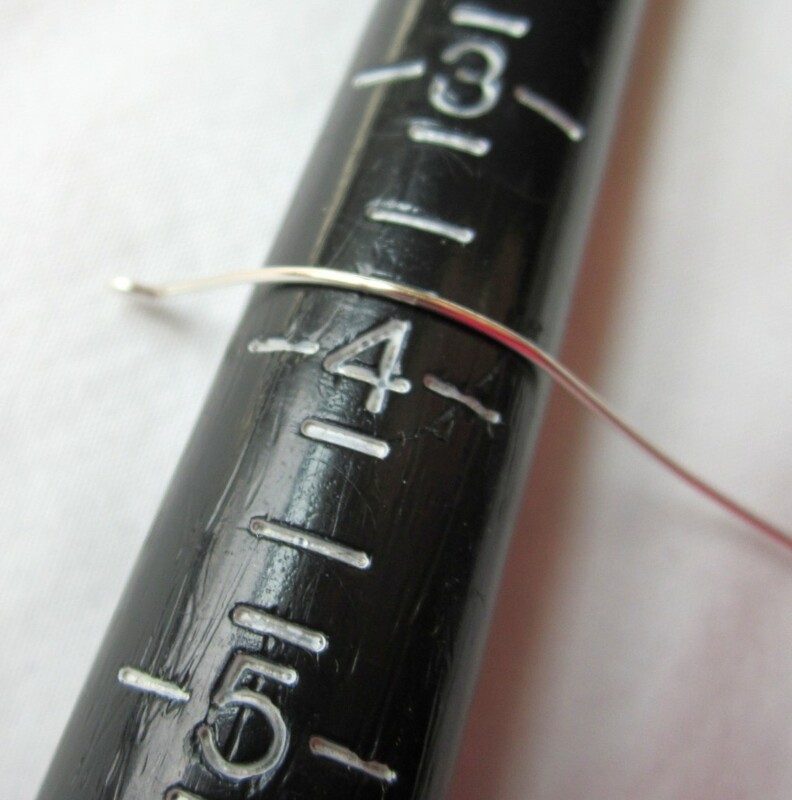 Wrap the wire around the ring mandrel (or pen, highlighter, dowel rod, etc.) Push both sides around. Make sure to keep the little loop straight and don’t let it slip to the side. Typically I’ll line up both wires and bend them at the same time. 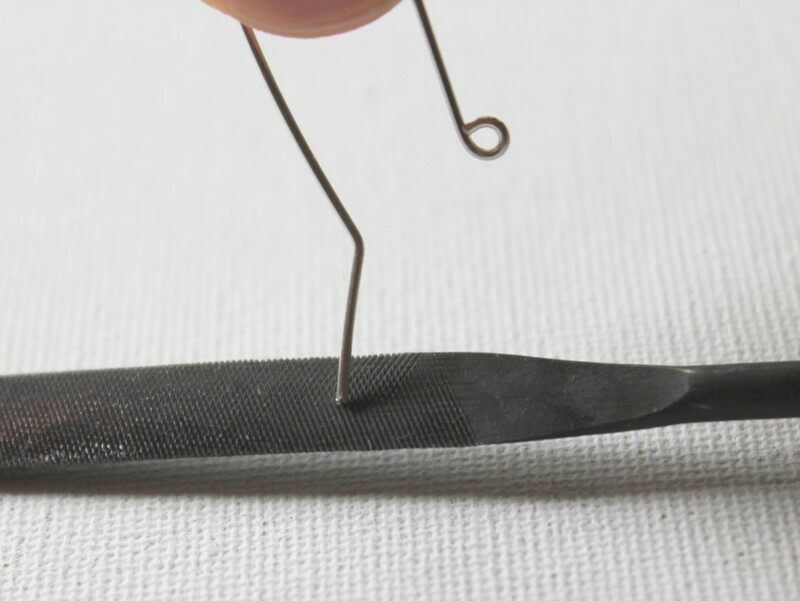 Use chain nose pliers to create a bit of a bend in the wire. 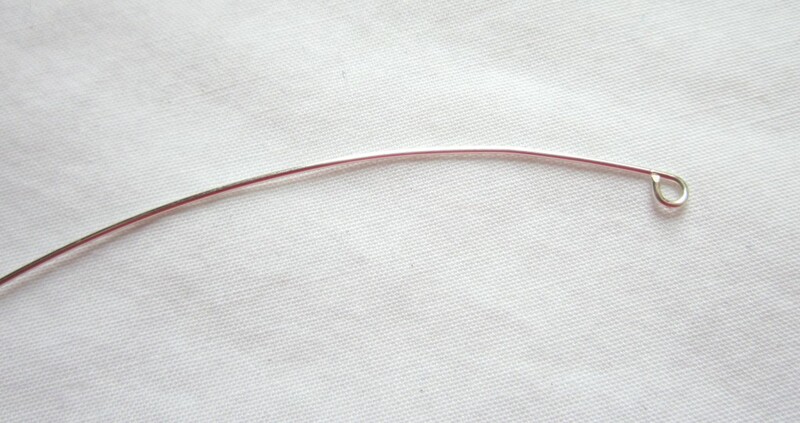 File the ends with a jewelry file or burr cup. 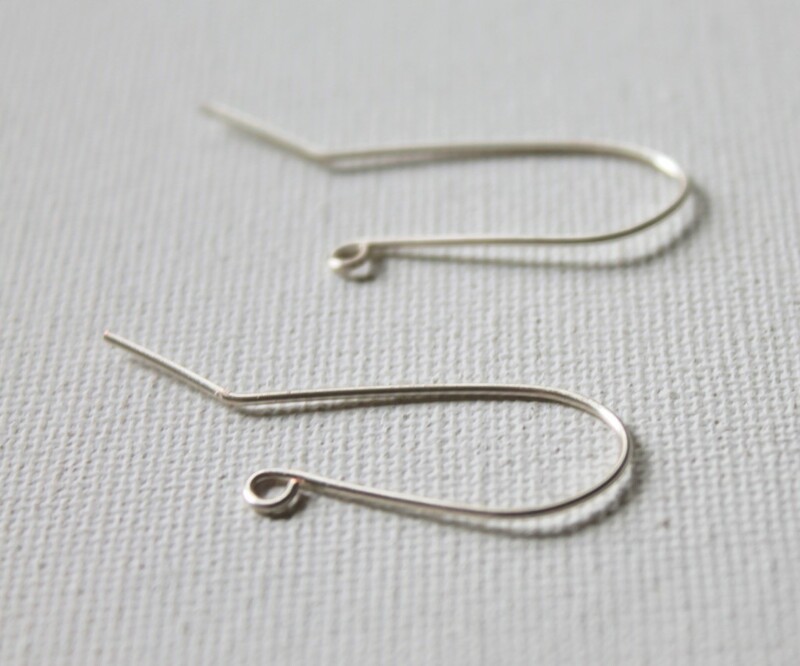 Now you can use these to make your own earrings! 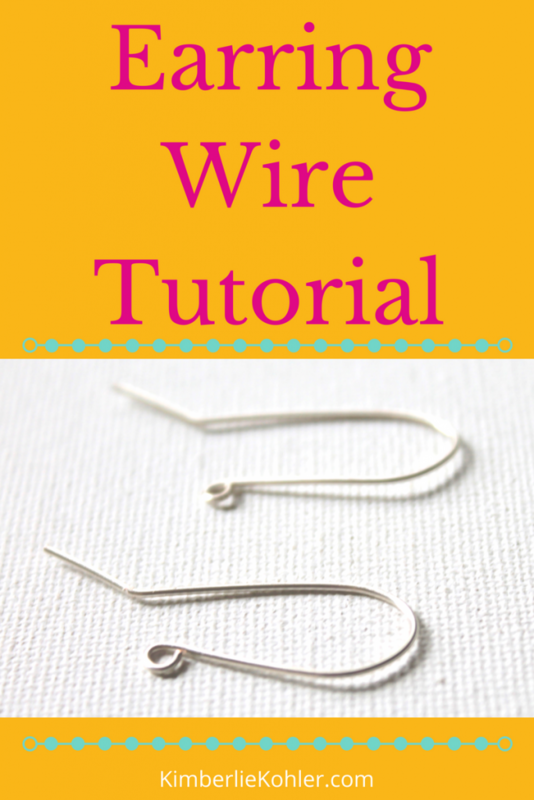 This entry was posted in How to Make Earrings, Jewelry Tutorials by Kimberlie. Bookmark the permalink. I made the earrings for the first time today. It was so simple. Thank you so much. I am going to look at your tutorials.